Once upon a time, a fancy honeymoon meant Niagara Falls or the Poconos, a bottle of champagne, and a heart-shaped bath tub. You can still do that if you want, but for many people, a honeymoon means not just romance, but romance with a mix of adventure, novelty, and luxury—new experiences to celebrate the launching of a new existence. Fortunately, there are many places that offer the best of both worlds for newlyweds, offering plenty of activity outside the hotel room, and loads of luxury for those who choose to never leave it. Below are six of the most highly recommended honeymoon destinations, all of which offer a range of activities of all types, for every inclination. Everybody knows what’s in Las Vegas, and everybody knows what goes on there, or at least they imagine they do. But gambling, or shows like Cirque du Soleil, are only part of it. There are also the dance clubs, the maze of high-end shopping malls in or underneath almost all of the major hotels, the art and historical museums, and the food. And because casinos largely support the hotels, luxurious accommodations can be found at surprisingly reasonable rates. 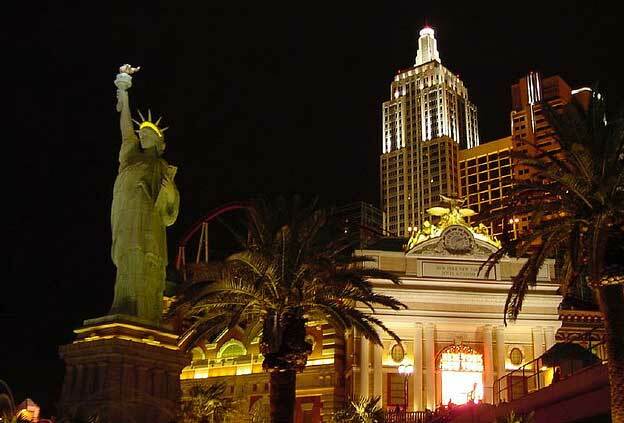 Among many honeymoon destinations in the US, Las Vegas is the top choice. If you’re marrying in the winter and don’t feel the need to escape to some tropical island, or just have a preference for snow, there’s no better place to go than Alberta. Both Banff and Jasper, on the east side of the Canadian Rockies, offer great skiing, beautiful views, and luxurious hotels and lodges. 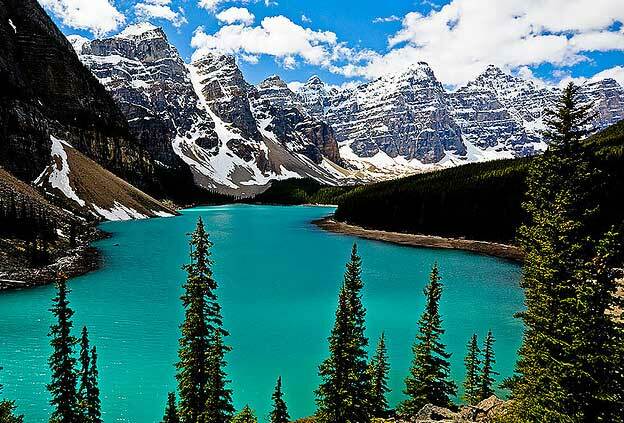 Though Banff and Lake Louise get most of the press, during the warmer months there’s no more beautiful spot than Glacier/Waterton Lakes National Park, on the border of Montana and Alberta. Accommodations are few, but if you don’t mind camping on your honeymoon, and you like hiking, there are no more gorgeous views anywhere in the world. 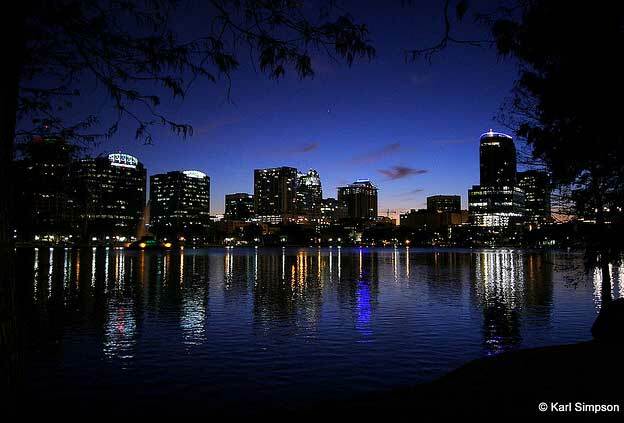 For those who like their fun in carefully constructed, spectacular packages, Orlando is the ideal spot. Walt Disney World World, Epcot Center, Universal Studios, Sea World—there are an endless number of amusement parks and events going on every day of the year. Walt Disney World offers a number of special packages for weddings and honeymooners. Wouldn’t you like to get married in front of Cinderella’s castle and follow it with a private boat ride and fireworks show? 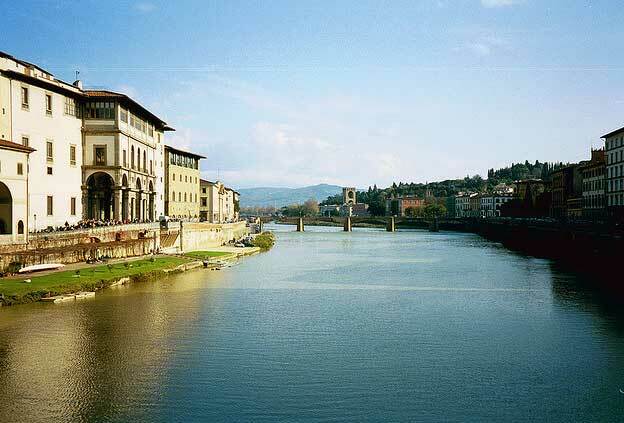 Over the last few years, Tuscany and romance have become almost synonymous, and with good reason: in Florence alone you have some of the most beautiful and important renaissance art and architecture in the world, some of the richest history, the most luxurious hotels and shopping, and the best food and wine you’ll find anywhere. Be sure and take your most stylish clothes: Florence, and most of the rest of Italy, may be the most fashion conscious place in the world outside of Paris. It would be redundant to talk up the charms of Hawaii—the beaches, the surf, the weather—but Kauai is a special case. It offers, among other things, some of the most secluded beach resorts and cabins in the world. If your ideal honeymoon is one where you see nothing but each other, it’s the perfect spot. 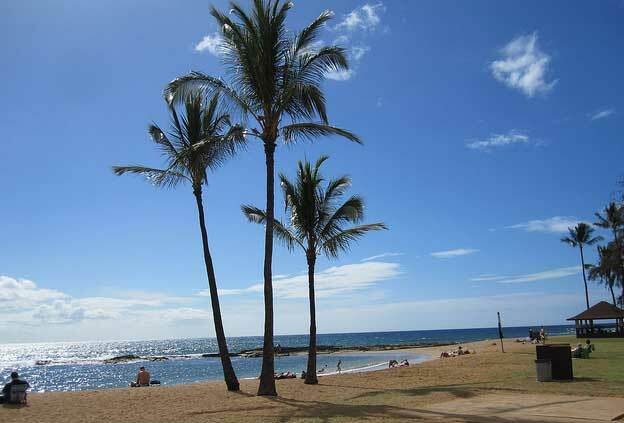 But Kauai also offers a variety of outdoor activities, including hiking and kayaking. You can not only get away from it all, but you can do it all at the same time. Another tropical paradise offering both solitude and the highest level of luxury. 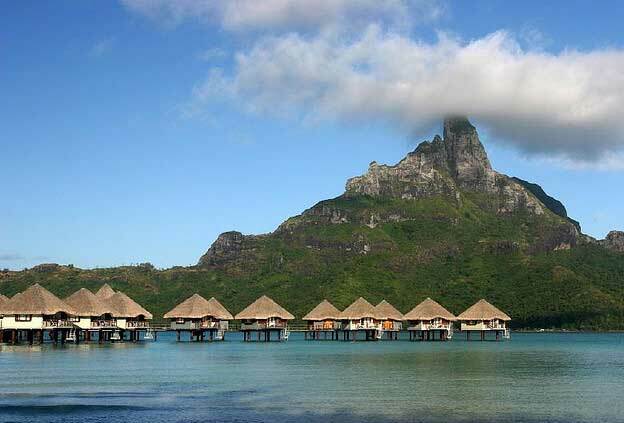 Many of Bora Bora’s resorts are located on separate islands, and offer individual cabins hidden from the rest of the world, where breakfast is delivered by canoe. If you want, you can even arrange a private barbecue for just the two of you on an island all to yourself. At the same time, there are plenty of activities, from tropical jungle safaris, swimming and snorkelling, and fishing. Patrica, the author of the “6 Top honeymoon destinations” is a part time travel writer from Italy. She is also a full time wedding coordinator in Rome!! !